Today I spoke at the WSJDLive global technology conference about cognitive and artificial intelligence (AI) technology, two nascent areas that I believe will be transformative to the industry and world. These systems also offer tremendous market opportunity and are on a trajectory to reach $46 billion in industry revenue by 20201 . At Intel, we’re pioneering in these areas with research and investments in hardware, data algorithms and analytics, acquisitions, and technology advancements. 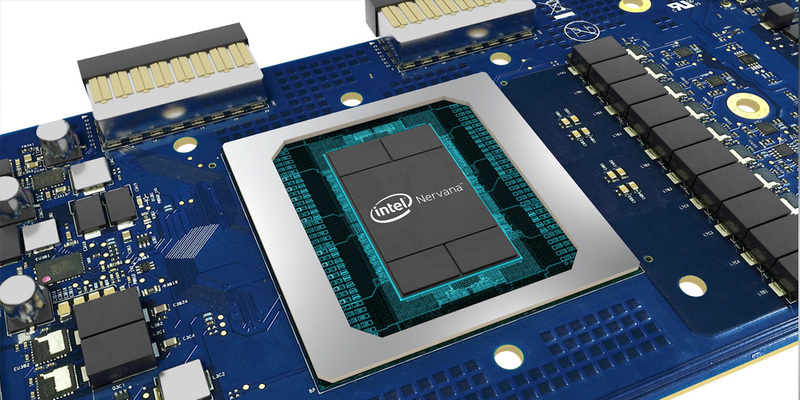 As part of this, today we announced that Intel will ship the industry’s first silicon for neural network processing, the Intel® Nervana™ Neural Network Processor (NNP), before the end of this year. We are thrilled to have Facebook in close collaboration sharing its technical insights as we bring this new generation of AI hardware to market. Health care: AI will allow for earlier diagnosis and greater accuracy, helping make the impossible possible by advancing research on cancer, Parkinson’s disease and other brain disorders. Social media: Providers will be able to deliver a more personalized experience to their customers and offer more targeted reach to their advertisers. Automotive: The accelerated learning delivered in this new platform brings us another step closer to putting autonomous vehicles on the road. Weather: Consider the immense data required to understand movement, wind speeds, water temperatures and other factors that decide a hurricane’s path. Having a processor that takes better advantage of data inputs could improve predictions on how subtle climate shifts may increase hurricanes in different geographies. We have multiple generations of Intel Nervana NNP products in the pipeline that will deliver higher performance and enable new levels of scalability for AI models. This puts us on track to exceed the goal we set last year of achieving 100 times greater AI performance by 2020. 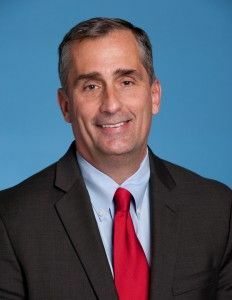 In addition to advancing AI today, Intel is also investing in frontier technologies that will be needed for other large-scale computing applications of the future. Among these technologies, we’re achieving research breakthroughs in neuromorphic and quantum computing. Neuromorphic chips are inspired by the human brain, which will help computers make decisions based on patterns and associations. Intel recently announced our first-of-its-kind self-learning neuromorphic test chip, which uses data to learn and make inferences, gets smarter over time, and does not need to be trained in the traditional way. The potential benefits from self-learning chips are limitless as these types of devices can learn to perform the most complex cognitive tasks, such as interpreting critical cardiac rhythms, detecting anomalies to prevent cyberhacking and composing music. Quantum computers have the potential to be powerful computers harnessing the unique capabilities of a large number of qubits (quantum bits), as opposed to binary bits, to perform exponentially more calculations in parallel. This will enable quantum computers to tackle problems conventional computers can’t handle, such as simulating nature to advance research in chemistry, materials science and molecular modeling – creating a room temperature superconductor or discovering new drugs. Last week, we announced a 17-qubit superconducting test chip delivered to QuTech*, our quantum research partner in the Netherlands. The delivery of this chip demonstrates the fast progress Intel and QuTech are making in researching and developing a working quantum computing system. In fact, we expect to deliver a 49-qubit chip by the end of this year. Intel’s research and forward-thinking teams have led to industry advancements throughout the history of our company. We are well on our way to unlocking the potential of AI and paving a path to new forms of computing. It will be amazing to watch the industry transform as our latest research and compute breakthroughs continue to mature. 1 IDC: “Worldwide Semiannual Cognitive Artificial Intelligence Systems Spending Guide,” April 3, 2017.